Home > General > Solar Power: How Does it Work and Is It Practical? Every month you pay your electric bill. How often do you find yourself wondering how you could possibly use as much energy as you do or if there might be a better way. Solar power is an eco-friendly option that is becoming increasingly more popular with homeowners. Keep reading to learn the basics about solar power including whether it is practical and if it actually works. What is Solar Power, Anyway? Solar power is exactly what it sounds like – power that comes from the sun. Though the concept is simple, the way solar power works is actually fairly complex. In order to utilize solar power, you need a solar panel made up of individual solar cells. The sun is a nuclear reactor that releases tiny units of energy called photons and, when these photons hit the solar cell, they knock loose some of the electrons from their atoms. When you attach conductors to the positive and negative sides of a solar cell, it creates an electrical circuit where electrons flowing through the circuit generate electricity. How do you harness that electricity? It starts when sunlight hits the solar panel and the panel converts the light into energy. That energy creates a direct current (DC) current that flows into an inverter. The inverter then converts that electricity from DC to alternating current (AC) energy which can then be used as a power source for your home. Solar power is an efficient, clean source of energy but it does come with some challenges that are worth mentioning. How Practical is it for Homeowners? Solar power is an efficient, renewable source of energy that is very clean. Unfortunately, utilizing it is not as simple as other forms of energy. In order to use solar energy to power your home, you’ll need to purchase (or rent) and install solar panels on your roof. The size and slope of your roof determines how many solar panels you can accommodate and their position. Some houses simply aren’t a good fit for solar energy – you can contact a solar company to get a consultation. The amount of electricity you consume on a regular basis. Whether you can afford to purchase your own panels or if you have to rent them. If your roof has the right size and slope to accommodate solar panels. Whether you plan to sell your home anytime soon. Though solar power is great, there are some downsides. First and foremost, you can’t generate solar energy at night. Second, the cost to install solar panels can range from $15,000 to $30,000. 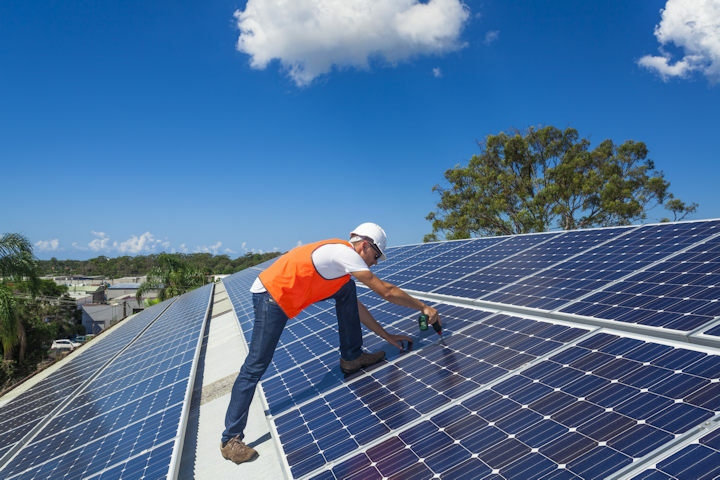 You should also consider how much light your solar panels will actually get to determine whether it is worth the investment or if it will cost rather than saving you money. Whether you choose to equip your home with solar power or not is entirely your choice. There are certainly many benefits that might make it worthwhile, though the startup investment of time and money is significant. Take what you’ve learned here to think through the decision very carefully.